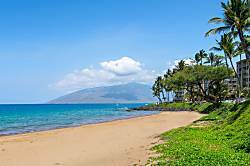 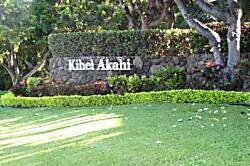 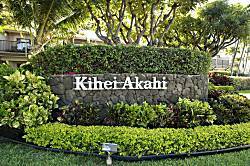 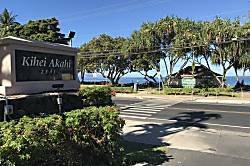 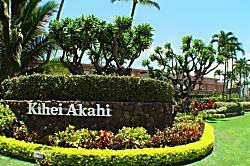 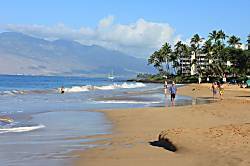 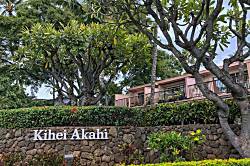 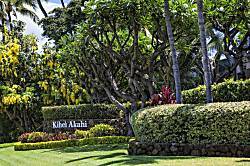 Kihei Akahi is across the street from Kamaole Beach Park II, one of Kihei’s favorite beaches. 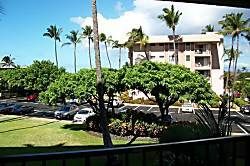 Many shops and restaurants are located nearby. 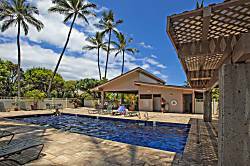 Kihei Akahi has 2 swimming pools and a tennis court. 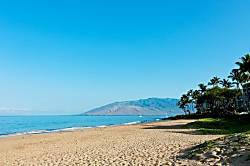 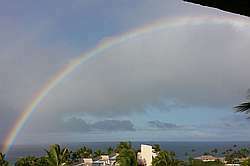 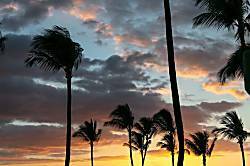 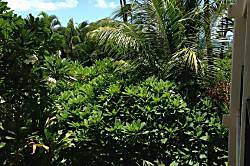 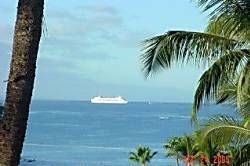 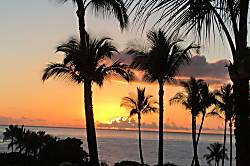 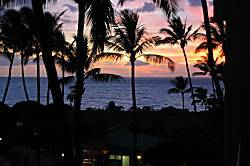 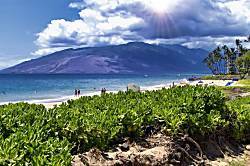 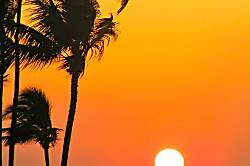 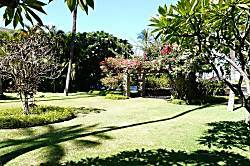 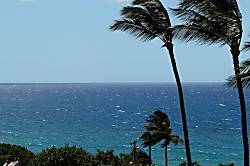 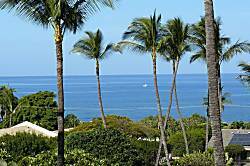 Also within walking distance is Kamaole Beach Park III, another great Maui beach.. 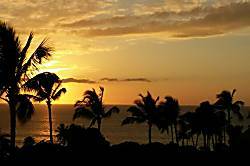 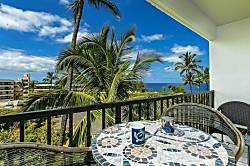 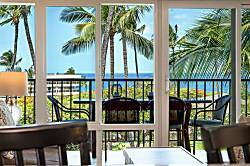 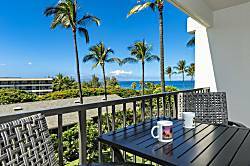 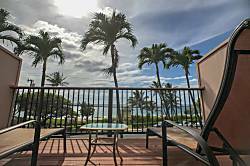 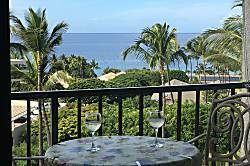 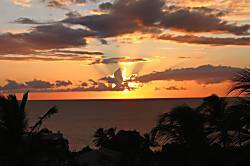 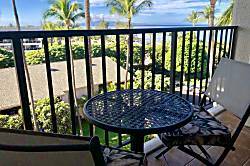 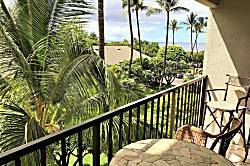 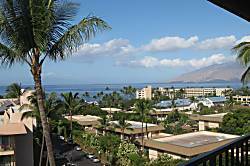 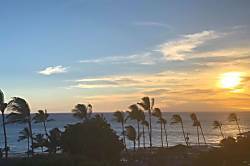 Enjoy beautiful Maui sunsets, and spectacular ocean views while dining on the private lanai of this fifth floor Maui Vacation Condo. 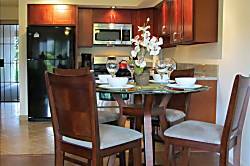 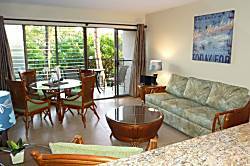 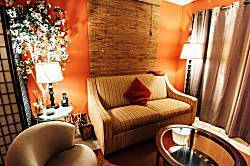 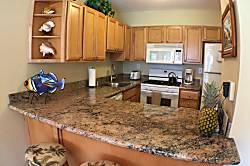 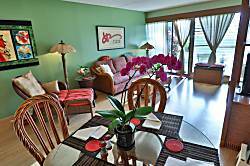 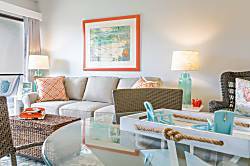 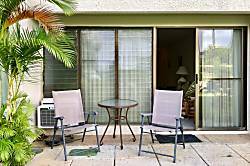 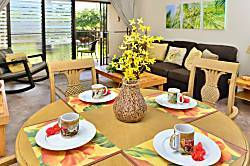 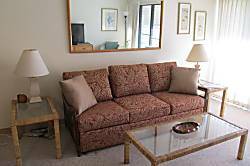 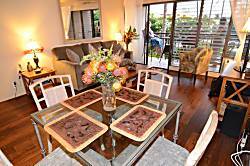 The condo is elegantly furnished in tropical prints and has a king size bed in the bedroom. 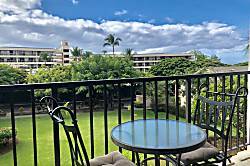 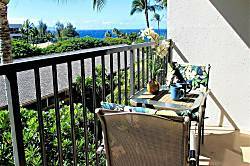 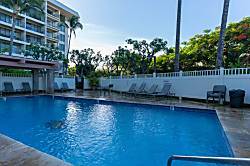 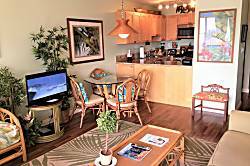 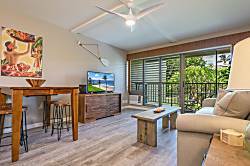 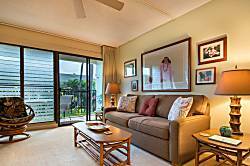 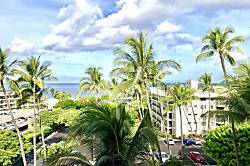 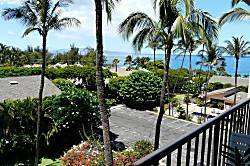 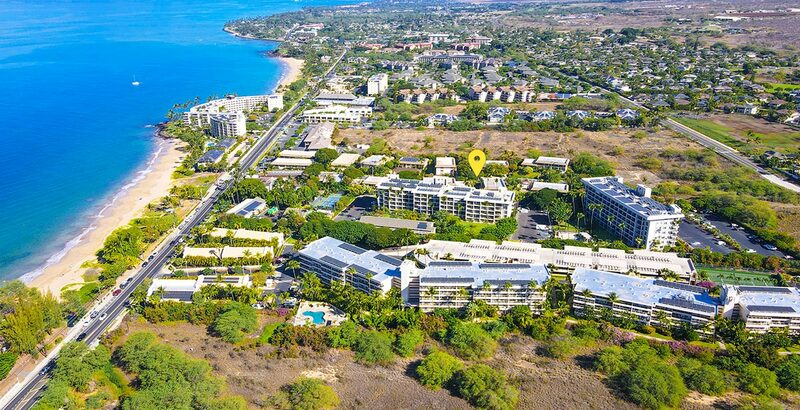 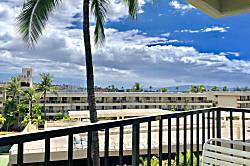 This sixth floor condo at Kihei Akahi offers all the comforts of home. 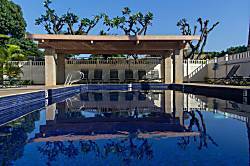 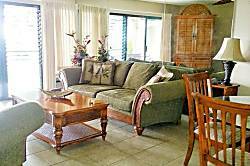 It has Air Conditioning, Free High Speed Wireless Internet and has recently been completely redone. 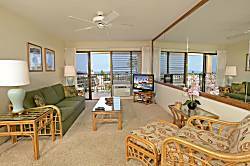 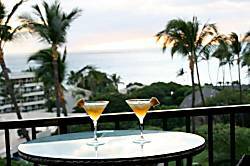 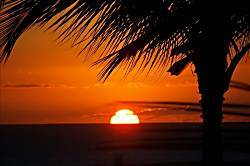 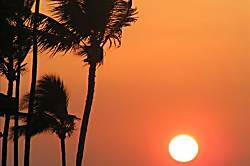 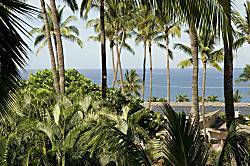 Enjoy panoramic views of the ocean, glowing sunset skies, beautiful sunrises over Mount Haleakala. 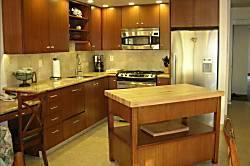 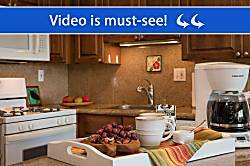 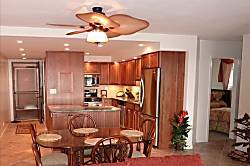 1 bedroom/1 bathroom, fully remodeled condo with ocean view ready for you. 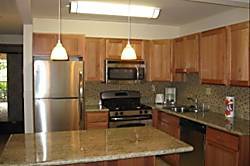 Beautifully remodeled 1 bedroom, 1 bath Condo. 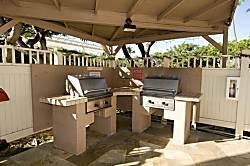 Sleeps up to 4 people. 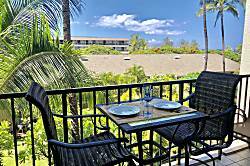 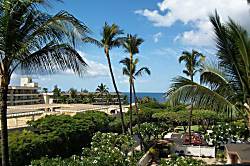 Panoramic Ocean Views and Just Steps to One of Maui's Finest Swimming Beaches. 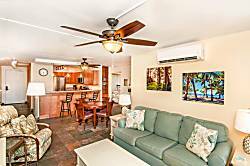 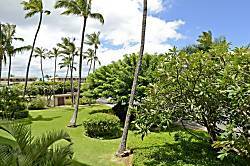 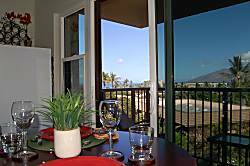 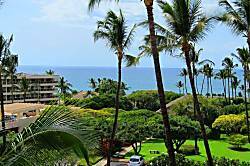 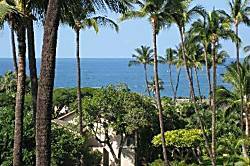 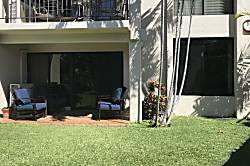 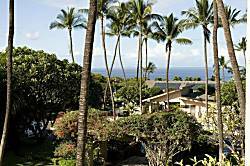 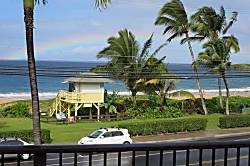 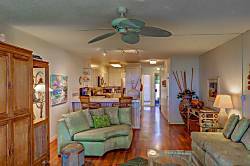 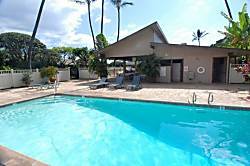 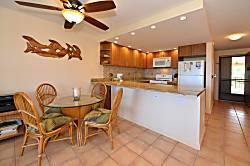 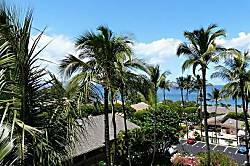 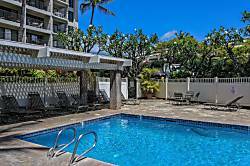 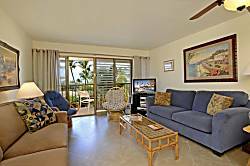 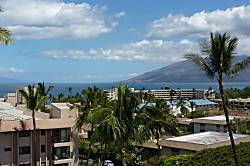 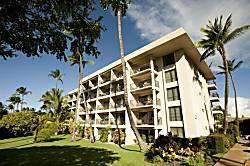 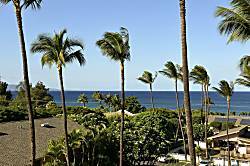 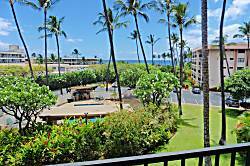 Kihei Akahi has a great location as it is just a short walk to Kamaole Beach II and it is moderately priced. 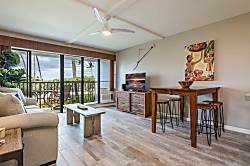 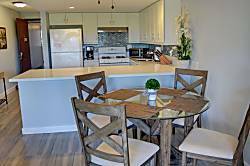 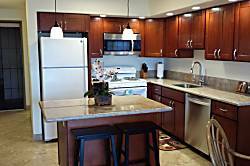 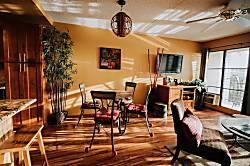 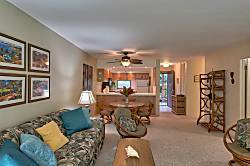 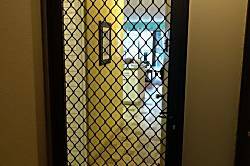 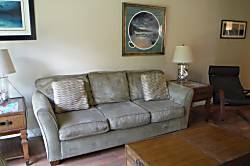 Each unit has a private lanai, washer and dryer, AC in the living room and ceiling fans throughout. 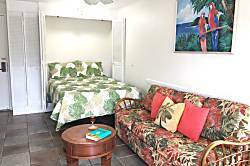 It also has Cable TV and high speed internet service. 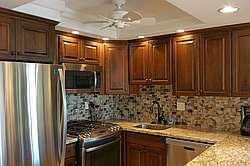 Many upgrades just completed. 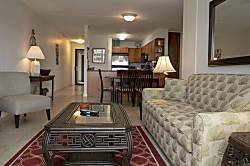 Lovely two bedroom condo with 5 start reviews. 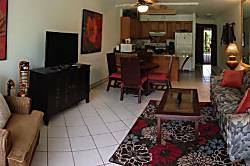 Condo, 1 Bedroom, 1 Bath, (Sleeps 2-4). 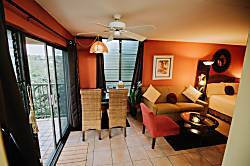 Lovely accommodation. 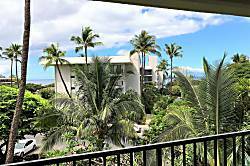 One bedroom one bathroom condo in Kihei Akahi.